This Biochemistry option offers courses in the life sciences as well as the traditional chemistry curriculum, which helps prepare you for your medical, dental or biochemistry graduate careers. The rigorous nature of this degree program prepares you for entrance exams into competitive, M.S., Ph.D, and M.D. programs on a national level. 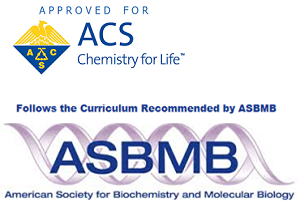 This program follows the curriculum recommended by the American Society for Biochemistry and Molecular Biology (ASBMB) and has received ACS (American Chemical Society) approval for student certification. Career opportunities with this degree include post-graduate studies in the medical, dental, veterinary, law or business school or as stepping stones into careers in biotechnology, toxicology, biomedical engineering, clinical chemistry, plant pathology, animal science, and many other fields. The B.S. in Chemistry, Chemistry option has received ACS (American Chemical Society) approval for student certification. 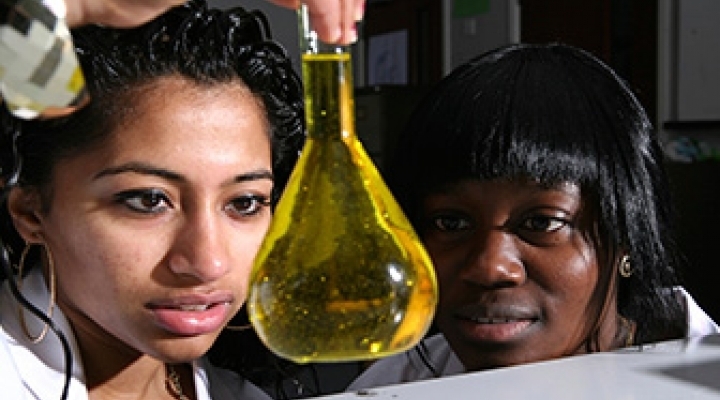 ACS-approved programs offer a broad-based and rigorous chemistry education that gives students intellectual, experimental, and communication skills to become effective scientific professionals. Our program offers you a sound foundation in both mathematics and sciences but also offers you additional coursework in Biochemistry, Inorganic Chemistry and Advanced Analytical Chemistry (Instrumentation), thus preparing you for graduate studies in many competitive graduate programs across the nation. Career opportunities with this degree program may include: research assistant or chemical technician in environmental, pharmaceutical, biotechnology or other governmental/industrial laboratory. You will also want to choose this option if you wish to pursue a MS and/or a PhD degree in chemistry.